Sleep Apnea patients often resist the use of traditional CPAP machines, which can be noisy, bulky, and difficult to travel with. But when patients experience better wearing comfort and more freedom, they’re more likely to adhere to treatment, improving the effectiveness of care. Whole You is a healthcare brand and it's Sleep Appliances are designed to be discrete, comfortable, easily transportable and, best of all, unintimidating to patients. Whole You Sleep Appliances provide a more personalized and less intrusive treatment to specifically fit each patient so that they can enjoy better sleep with more freedom. Together, Whole You will redefine health as the ability to enjoy life to the fullest, revolutionizing what human health looks, sounds, and feels like. Whole You offers a variety of Sleep Appliances for Sleep Apnea patients with different conditions. Now, one-of-kind dorsal fin design! Our 4-Wing design is stronger and helps balance force during lateral movement, providing better quality sleep for your patients. *Results of strength testing lateral movements in fully titrated devices, from a sample test. 260% Enhanced Strength Puts Respire Blue+ in a Different League. 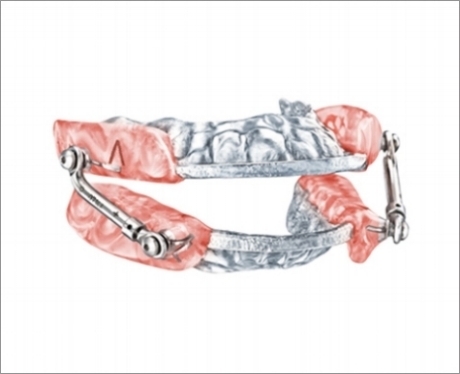 Find out which oral device would suit the different conditions of your patients. You can also download product guide in PDF file here. clearance in the posterior. We recommend the Airway Metrics bite system. Videos showing a demonstration of this bite technique are available at: www.airwaymetrics.com. The 5mm George Gauge bite system can also be used. These can be purchased through greatlakesortho.com. A video demonstration of this technique is shown here. www.georgegauge.com.